Observation - miked's 297th spot submitted on 25th October 2009 - UK and Ireland. 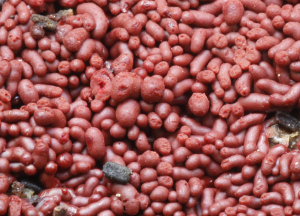 Description: Red sausages in the region of 1-2mm long. Red sausages in the region of 1-2mm long.